In the District of Columbia, registered voters and licensed drivers are summoned for jury duty in the Superior Court every two years, almost like clockwork. Because I am conditioned to dress up for court, I wear professional attire when I respond to the summons. 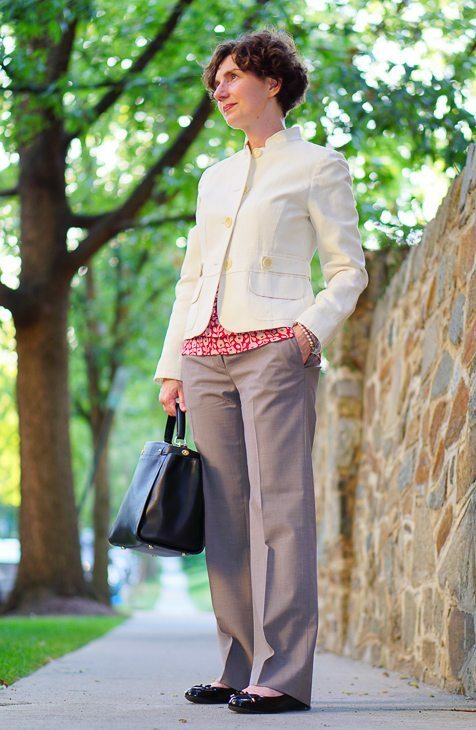 Last summer, I was really surprised to see that I, simply by virtue of wearing a jacket, was the most dressed up person in the courtroom — except for the prosecutor and defense attorney. As you can see from the pictures, I am completely respectable in Business Casual, but I’m not that dressed-up. Out of a pool of 100 prospective jurors, I was the only one wearing a jacket. Some of the men were wearing khakis and plaid shirts, among the women there were a few casual skirts, and then everyone else looked like they’d come for a cook-out. 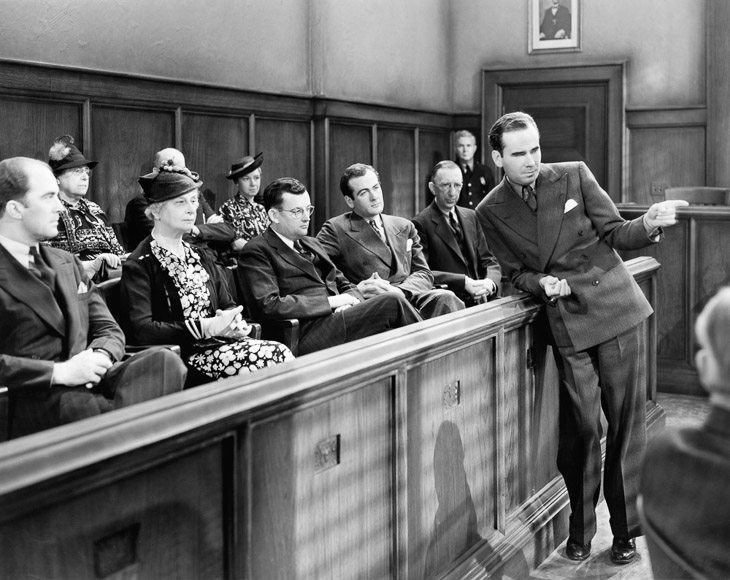 Here is why we should dress up for jury duty: Jurors are called upon to render judgment — a heavy responsibility — over a very significant event in another person’s life. (This may seem obvious, but I don’t think the weight of this authority registers for most people until they find themselves sitting in the jury box.) Jurors may be asked to decide whether someone should go to prison. Litigants, whether sympathetic or unsympathetic, deserve to believe that matters of grave importance to them will be decided with dignity, respect, and sensitivity. Sweatshirts and sandals don’t convey respect or sensitivity, and while they can be worn with dignity, they generally are not. So, I gently suggest that people reporting for jury duty wear nice work-clothes or even church-clothes. And don’t worry — very few of you will actually be empaneled. After laying down that heavy message, I must acknowledge that not all trials are equally weighty. One of my colleagues sat on a jury a few years ago that was asked to decide whether the defendant, accused of robbery, had stolen the winnings from an illegal craps game – literally, a falling out among thieves. The defense tried to impeach the victim – the night’s big winner — with evidence of his long history as a low-level gang member and government informant. Two great guys. And justice for all! I agree. There are certain situations where I find under-dressing offensive, and court is one of them. Also funerals, weddings, and parties (if you’re a guest at a party, I believe, your job is to turn up looking appropriate for the occasion, whether it be a pool party or black-tie event, and willing to engage with the other guests). My only question is – why are you, a litigator, part of a jury? In Australia where I’m from, those who serve the court directly are not allowed to be part of a jury. An excellent question! No categorical bar to lawyers serving on juries exists in the United States, as far as I know — certainly not in the federal system or in the District of Columbia’s. Jurors, as the finders of fact, are, however, supposed to limit their decision-making to the information presented to the them by the advocates (the parties) and the law presented to them by the judge. The process of voir dire — in which a pool of prospective jurors is whittled down to an actual jury of 6, 12, 14 jurors (depends on the court) — is designed to weed out prospective jurors who are bringing personal knowledge to the proceedings, either because they know the judge, one of the lawyers, one of the witnesses, or are knowledgeable about the subject matter in dispute. The District of Columbia has a very busy court system and a (comparatively) high percentage of lawyers in its population. As a result, a lawyer won’t be excused simply for being a litigator. I expect that I would never be empaneled in a civil case that relates to any of my areas of >ahem< expertise, but I have been selected -- three times -- to sit on juries in criminal cases. I think it’s more the case that, if you are a lawyer, you can seek an exemption from jury duty. 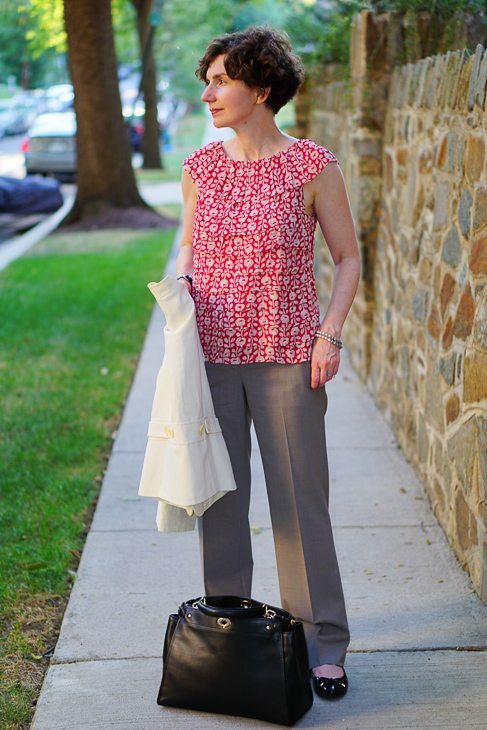 I’ve been called to jury duty three times in over thirty years, ( probably a high percentage for my area) and I always wore what I would wear to work…and not casual Friday! The casualization of America makes me sad. I grew up when going to church, the doctor’s, visiting any relative or friend meant you wore nice clothes, had just had a bath or shower, shoes were shined, and you probably had white gloves. Clothes fell into three categories: church or a holiday or party; school or work; and play clothes. Oh well,can’t cry over what used to be, but I liked it. I maintain that educators in this country should remain dressing in the business casual category – and as the school administrator of a small yet respectable school, I am constantly dismayed by teachers who dress like lumberjacks. Am I wrong? Shouldn’t adults who teach our students be setting an example of something to aspire to? I have nothing personal against lumberjacks per se, but come now. The “casual” in in business casual is becoming overly abused. Hi Heidi — The question of “Who is the Directrice’s soulmate?” is one that may be vigorously debated by you, Harper (one of my cats), my husband and my college roommate; all of you have strong cases. Your website is great and I am so glad that you are enjoying mine! Thank you for reading and commenting.